How will it all end? It was a night that would change Enoch´s life forever. It was a night like many others, yet strange and unusual, a star-filled sky put together by uncertainty, yet in a breath of magic, Enoch Sotheby is reborn again as he is chosen for a mission to save humanity as an interstellar care-taker lands in his backyard. He is visited by a member of the Arcs, Uriel, who comes to warn of his evil android counterparts whose intent is to annihilate the Earth and its surrounding quadrant. Enoch is then thrust into a position of great power as he forges unlikely alliances to help save the world from its inevitable destruction. Universal reign shall never be the same again. I received a copy of this book from the author in exchange for a honest review. This does not affect my review of the book. I thought this was a really interesting book! Although I do read the sci-fi and fantasy genre very regularly, I don't usually pick up books with aliens and dragons - a mixture of sci-fi and fantasy! 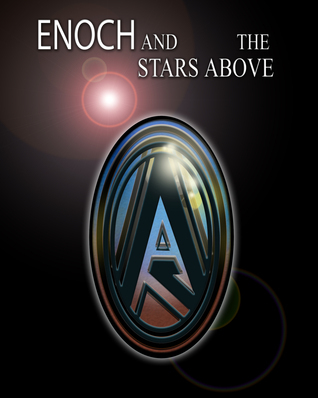 I wouldn't have imagined a book where both appear, but Rich Paz manages to blend these two genres together easily and with flair, so Enoch's story is quite captivating. Enoch and his friends make a lively, energetic and loud bunch - especially Danica. But overall, I think my favourite character is Uriel because he is pretty different from the rest of them, being quiet and level-headed in most situations. He also is very logical, which I like about him. The downside to this book was that the style didn't really work for me. It's told in Enoch's POV, but there was an over-abundance of his thoughts. As I was reading the book, I remembered all the phrase from my English teacher: "show, not tell." Rich Paz does a lot of telling in this book, especially in intense or dramatic scenes (like the battles and whatnot) where I would have liked some descriptive writing as opposed to Enoch directly telling me what was going on. I think the story would have flowed a lot better if there was a bit more descriptions. There was too much onomatopoeia for me. I also really liked how there were some pictures of the characters at the end, which allowed me to compare the drawings to my imagination. It was a pretty fun thing to include, since many authors do not have illustrations at all. Overall, I think this is a good book for a debut author, especially since the themes and plot line is very unique, but I would have enjoyed it a lot more if there was a lot more "showing". I look forward to any new books Rich Paz will write in the future! "There is light and then there is darkness, in every reach of the cosmos and the evil seeds brought a purified madness to this very world."